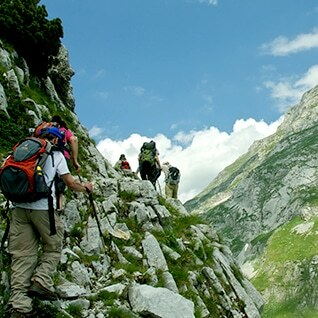 Northern Albania has everything to boast itself, rugged mountains, high peaks above 2000m, green valleys with blue rivers and a rich wildlife and above all the hospitality of people and delicious food. Accursed Mountains are part of Dinaric Alps in North of Albania, West of Kosovo and South-East of Montenegro. They are high peaks above 2000m and covered in deep snow on winter till late summer. Their name is related to many legends and folkloric parts that the locals proudly like to share and sing about. Best for walking, trekking and snowshoeing, they give the feeling of a triumphant, once you’re on the top of them. A gorgeous setting, composed of surrounding mountains, river, waterfalls, pine trees and rocks. Home of 350 sort of mountain flowers, many wild birds and butterflies. The trout of Valbona River is now a specie under protection. Best for walking and cycling. Offers everything a village can have. Rough mountains, natural water springs, waterfalls and rocky canyons. Some of the cultural attractions include an old church (1813) which served as a school as well and the tower of salvation. Because Northern Albania suffered from blood feud, this tower was built to take in protection the one who committed murder and prevent another crime. The lake was formed during the late ’70’s from the waters of Drini’s river. It has a great importance on the Albanian economy because in the lake are build 3 hydropower plants which produce 70% of the electrical power needs. Compared to Scandinavian Fjords it is considered to be one of the most fascinating boat trips. Halil has been working with us for many years. 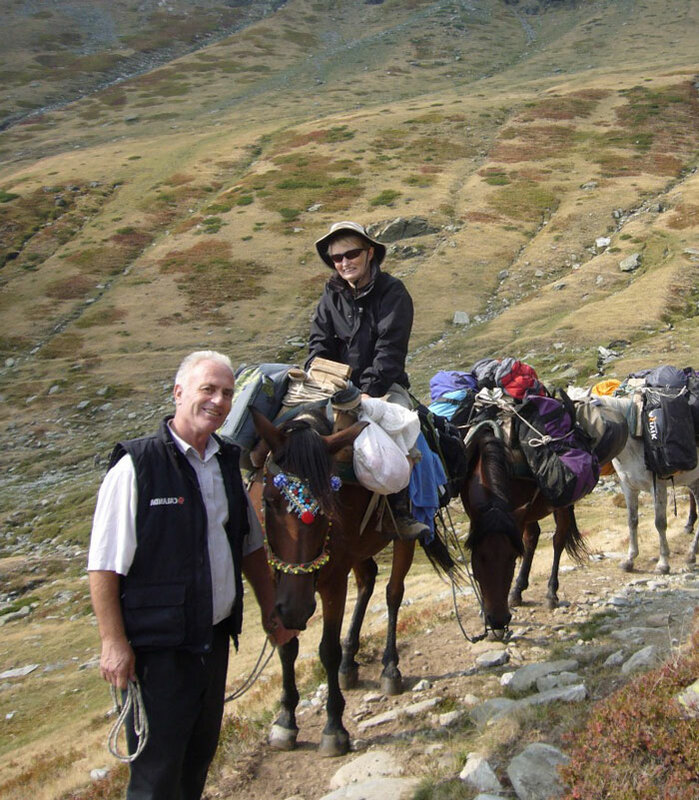 Born and raised in the Albanian Alps, he always finds a genuine way to share his passion and knowledge for mountains with each different groups of tourists. 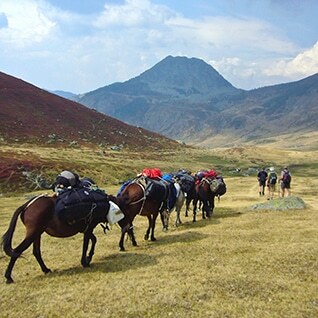 Halil is an energetic mountain hiker, always in search for new off-beaten paths, a horse-raiser and a rider. When he is not leading a group, you can find him exploring the surrounding mountains and marking new off-beaten paths that he passionately shares with us. He knows every stone and tree of the peaks we are walking into; therefore, when taking a new unknown path, we feel like exploring and not lost. He has a deep insight of the zone, knows a lot about the forests and wild plants as well as the living of wild animals and birds in their habitat. Being also a local in this area, he has lots of good stories to share and make a hiking unforgettable. 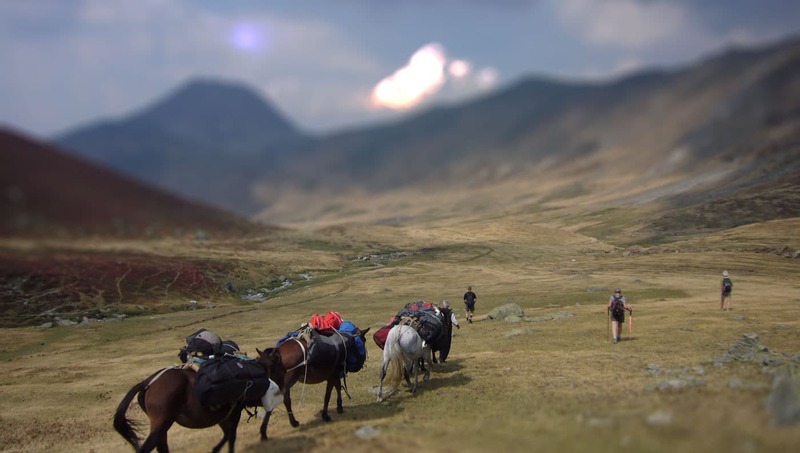 Together we give our best to deliver a unique walking experience and make sure that every guest leaves with a better understanding and an exciting feeling of making a new discovery.  Receive a 10% discount for early bookings from January to March.